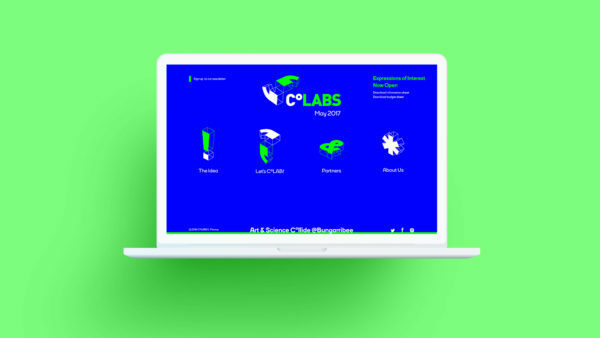 CoLABS is a brand new Art & Science festival to be held at Bungarribee Park, Western Sydney for the first time in 2017. The all-ages festival features entertaining and innovative art installations created by collaborations between artists and people from the STEM disciplines (science, technology, engineering and mathematics). It also has a strong community-based focus, involving local schools and tertiary institutions in its creation. 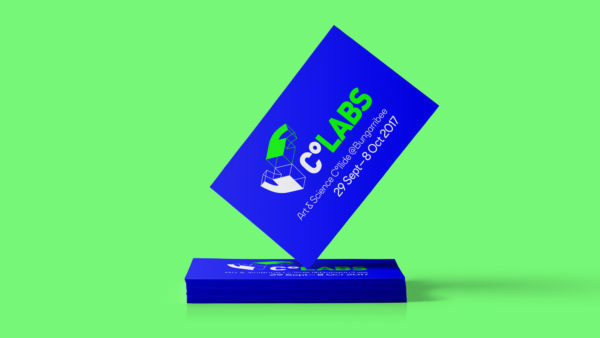 As the festival launches for the first time in 2017, the branding and website needed to introduce and position CoLABS as interactive, immersive and intriguing, encouraging people to attend and discover the possibilities of STEM and art together, bringing it alive in new and exciting ways. 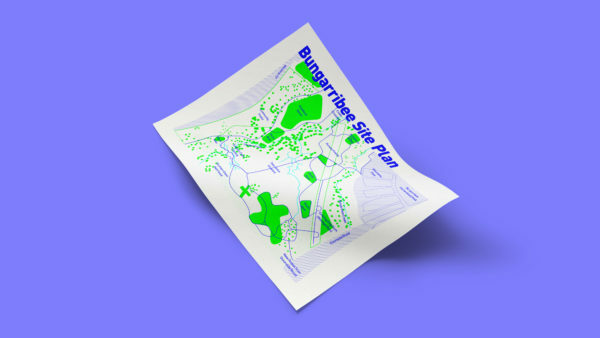 The event would also be the first of its kind in this area, so promoting and highlighting the location of Bungarribee Park was also an important function for the brand collateral. 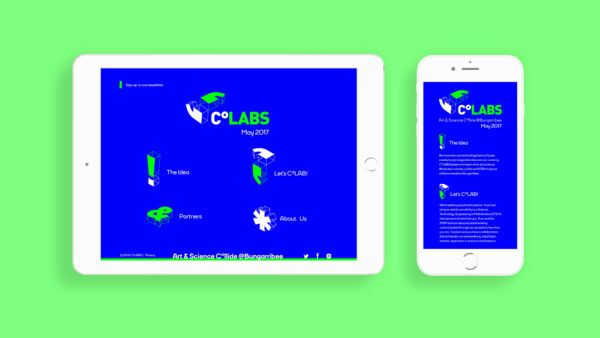 Equilibrium developed and striking and accessible brand for the festival that enabled Arts Futures to attract strategic sponsorships from corporate partners and multiple levels of government. As part of our commitment to NFP organisations, we were able to provide a high level of value for the brand and it’s collateral while still keeping the project within budget and resource constraints. 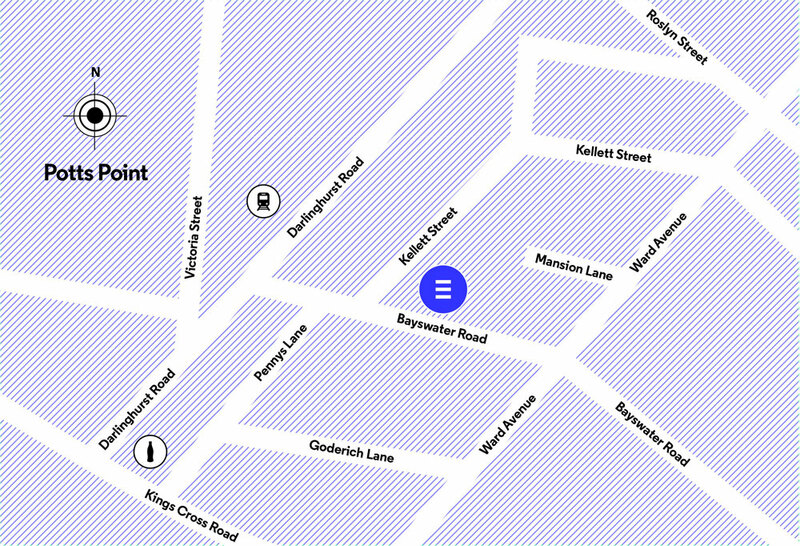 The design is vibrant but simple, with enough flexibility to extend across the multiple touch-points required at an event of this size.